Jake joined Mosman FC in 2016. 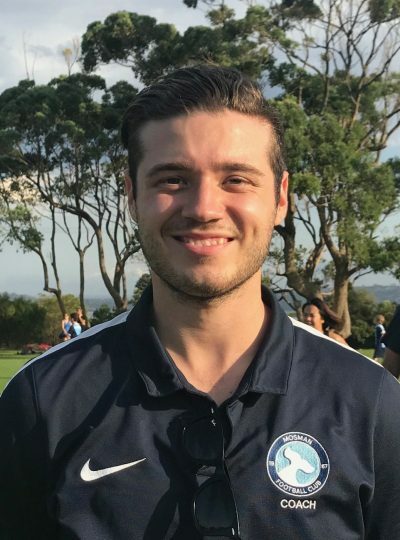 He studied with Football NSW, completing his Diploma of Sport Development at FC11, including his skill training certificate and senior coaching certificate. Jake has also completed his C-Licence with FFA and is eager to continue his learning. Having played men’s Premier League for 4 years, Jake looks to bring experience from all aspects of his own playing to continue to improve his coaching and further his knowledge to support the club and the player’s development.